Fine art print of Animal Orchestra. High quality, colorful, signed and numbered. The fact that this art work was created by more toyists working in conjunction makes it truly special. 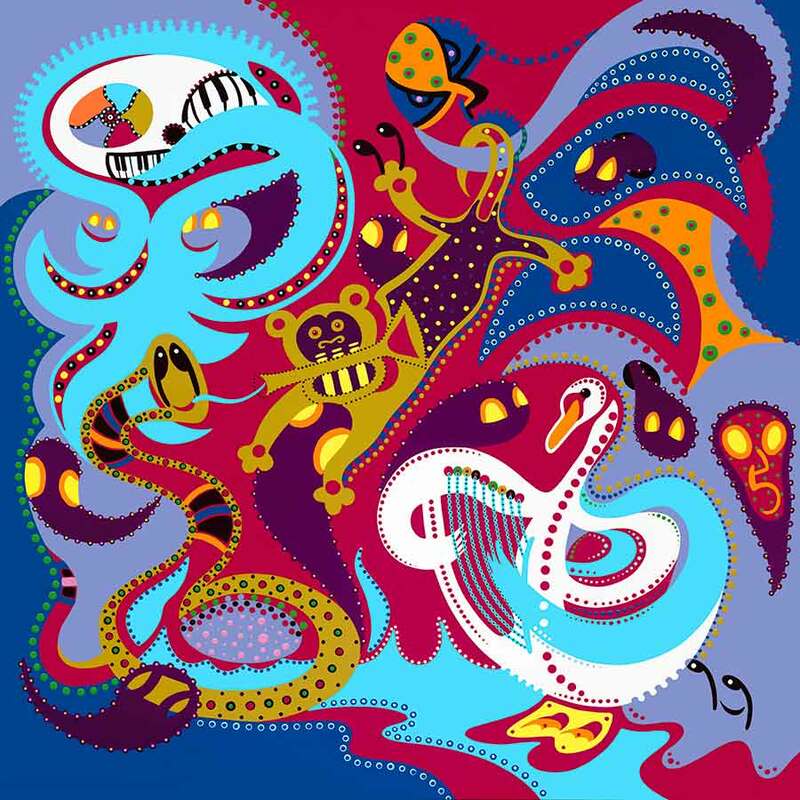 It shows four animal species (bird, fish, reptile and mammal) making music together in the form of musicians: the swan elegantly playing the harp, the octopus whose tentacles gently glide over the keys of the piano, the snake immersed in the sounds of the didgeridoo, and the monkey blowing on the trumpet while hanging by his tail. This rendition may or may not be heard by the audience.